This article includes an Excel spreadsheet you can download and use to calculate residential UK (except Scotland) stamp duty (SDLT rates correct from April 2016). It covers the first/single home rate as well as the second/additional property rate. It goes on to explain the formulas used in detail so you can understand exactly what's going on and update or adapt them if you need to. If you ever want to double check your results, there's the official UK Government guide and calculator. Calculating stamp duty for buy-to-let investments? You should try our free buy-to-let profit calculator that includes stamp duty calculation along with profit and yield figures. Or you can use our property investment tracking and comparison tool to easily do the calculations for all of the properties that you're considering for your next buy-to-let. Don't want to read any more - you can jump straight in, grab the spreadsheet and explore. Just enter your purchase price in cell B3 (with a green background). The first calculation in the spreadsheet breaks out the figures per SDLT band. This is in the table starting in cell A8. ...produces the minimum of the total in the band (eg 250,000 - 125,000 = 125,000) and the purchase price (B3) minus the lower bound, ie the amount of the purchase price above (eg 200,000 - 125,000 = 75,000). The result is the maximum possible amount that could be within the band. However in cases where the band is above the purchase price, this part produces a negative result (eg 200,000 - 925,000 = -725,000) which we need to ignore, hence the MAX() function is used to replace any negative numbers with zero. Once we know how much needs to be taxed in each band, we can calculate the per-band tax - column G for the first/single home rate and column H for second/additional properties. Here the IF() will show the tax only when the purchase price is 40,000 or more, otherwise it shows zero. When you look at the stamp duty calculation spreadsheet you'll see there's also a second calculation below the detailed table of SDLT tax bands. This includes two cells (one for single home, the other additional home) that perform the whole stamp duty calculation in a single formula. 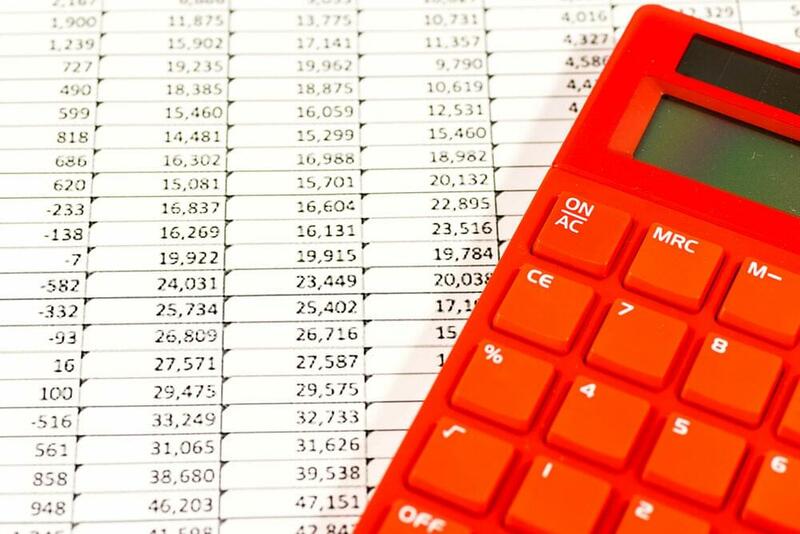 If you're building a stamp duty calculation into a larger spreadsheet, the chances are you just want to know the final figure rather than a full break down per tax band. There's a good explanation (with lots of examples) of the SUMPRODUCT function here. The IF() simply includes the extra tax if the purchase price is £40,000 or more, otherwise returning zero. In case you missed the links above, here's another one to the Excel spreadsheet Stamp Duty Calculator. Plus a reminder that you can try our free buy-to-let profit calculator for quick stamp duty calculation along with profit and yield figures.